It's time to book your appointment at your favorite spa or try a new one! $50 spa services are available October 11th-17th. 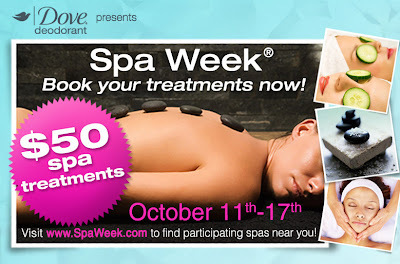 Go to spaweek.com for a list of participating spas.